Perfect for Father's Day or for Dad's Birthday. 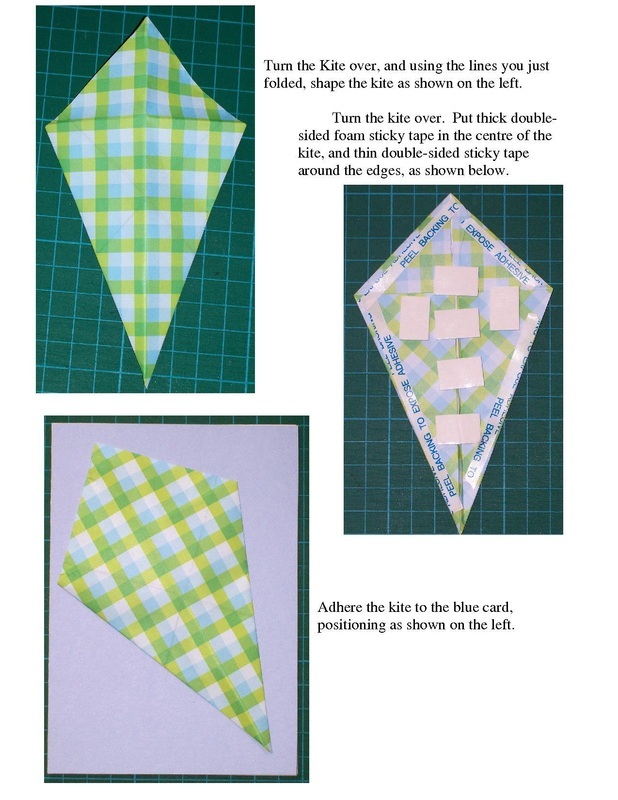 This kite card is easy to make and looks great. 5. Light blue card, 21cm x 15cm. Scored and folded in half to make a standard size greeting card. 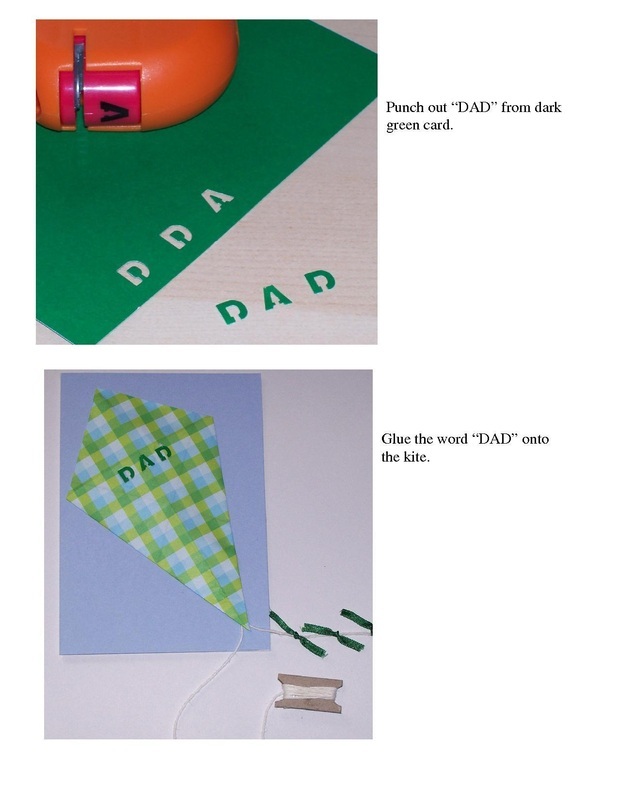 12. Letters "D A D" - I used a hand punch for my letters, but stickers or other cut out letters would be fine or personalise the card to your requirements. 3. 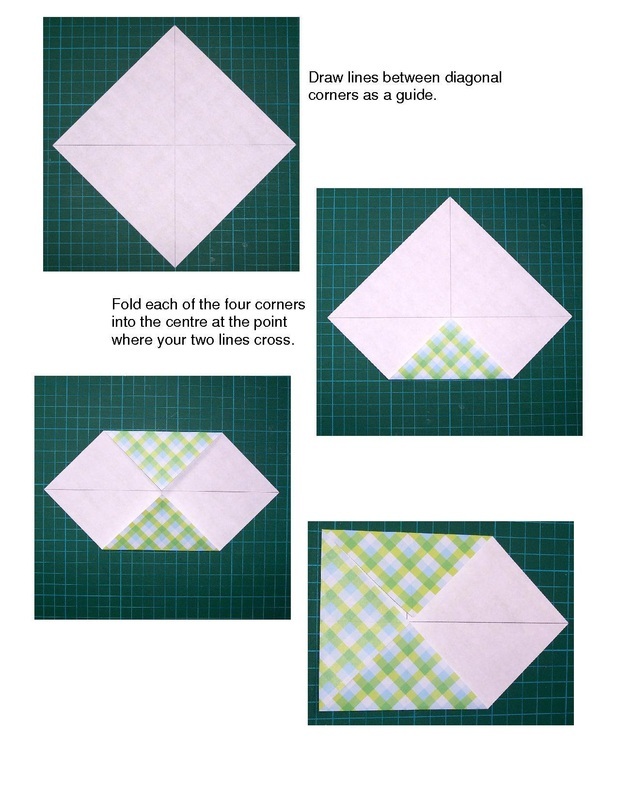 Fold this square into a kite shape as shown below. Do this by folding the left and riight points into the central vertical line. 5. 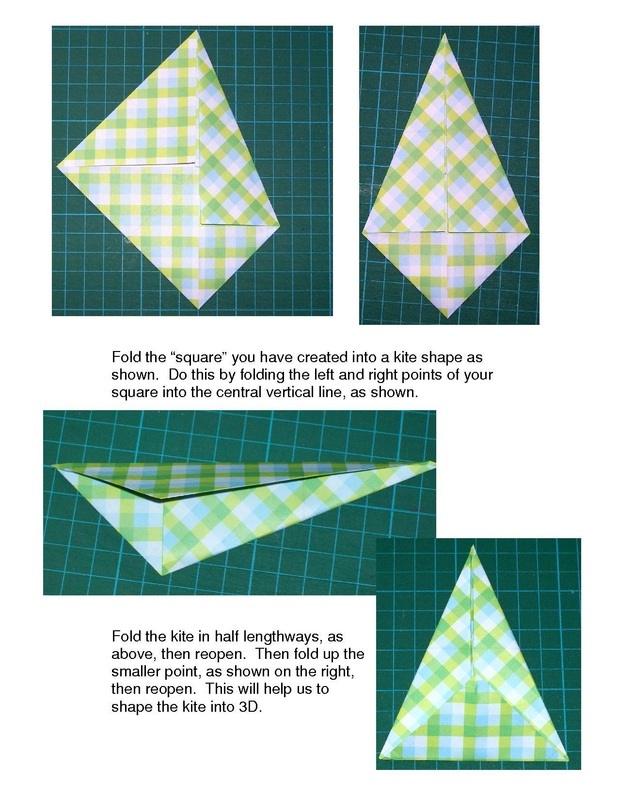 Turn the kite over, and shape the kite to 3D, as shown below. 6. Turn the kite over again, and put the double-sided mounting tape in the centre, and the thin double-sided tape around the edges, as shown below. 7. Adhere the kite to the blue card, positioning as shown below, but do not adhere the base down as the string has to be put in place first. Hint - it would be helpful to leave the covering on the double-sided tape on the lower part of the kite until the string has been put in place. 8. 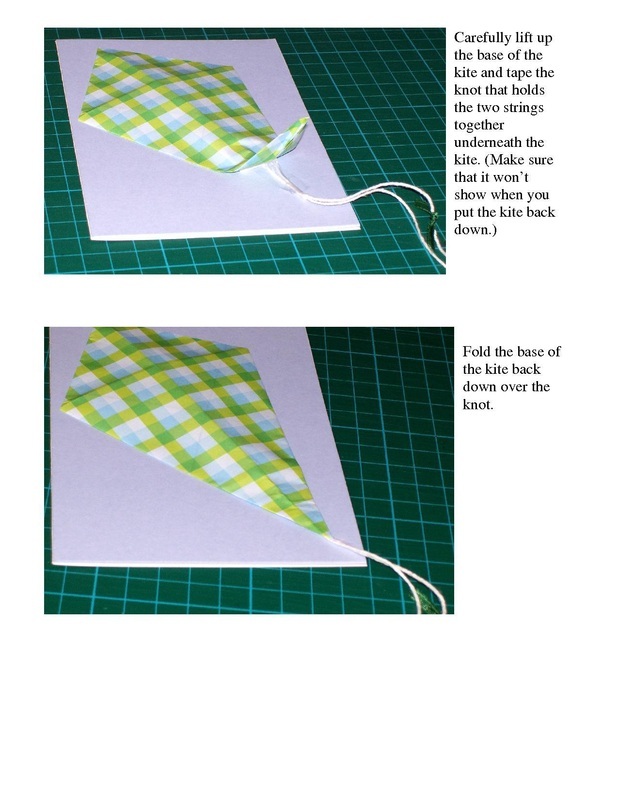 Make a small holder for the kite string from a piece of thick brown card (approx 3cm x 1.5cm), see below for how to shape the holder. 9. Wrap string around the holder, as shown below, until the holder looks half filled. Glue the string down onto the holder so that it can't unravel. 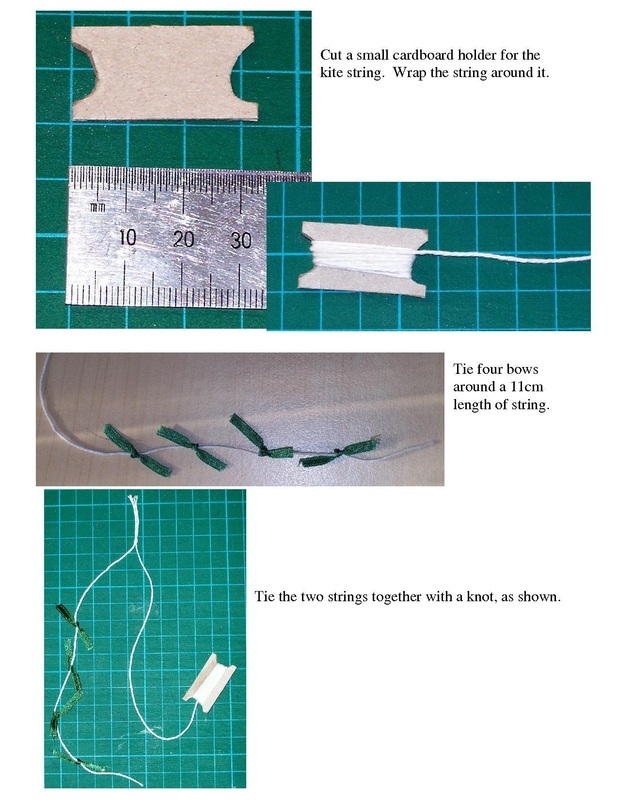 See below picture to help with the amount of string. 10. Tie the four ribbons around a length of string about 14cm long. Trim the ends. 11. Tie the kite string and the holder string together with a knot, as shown below. 13. Fold the base of the kite back down over the knot. 14. Punch a D A D out from paper or card. 15. 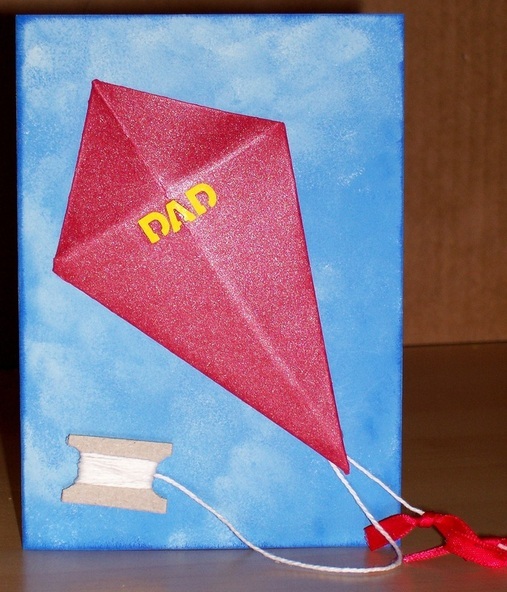 Glue the DAD onto the kite, as shown below. 16. 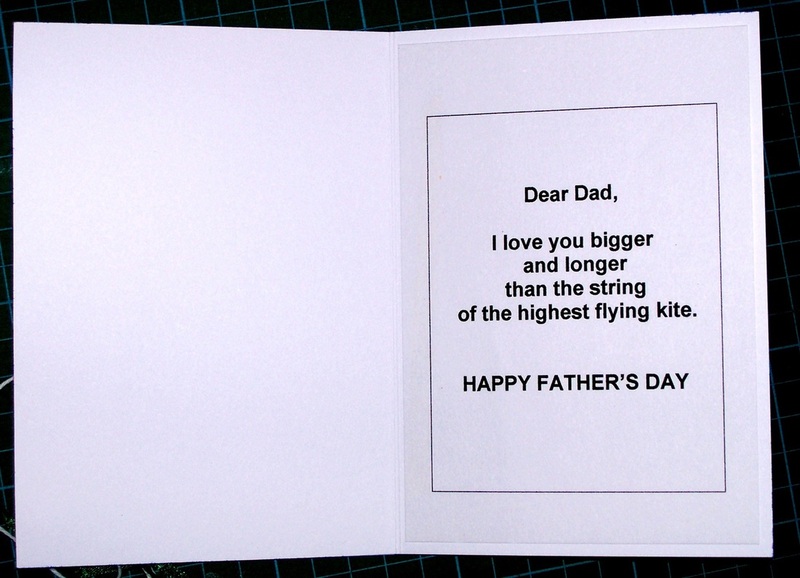 Using a sponge, apply dark blue ink around the edges of the card. 17. 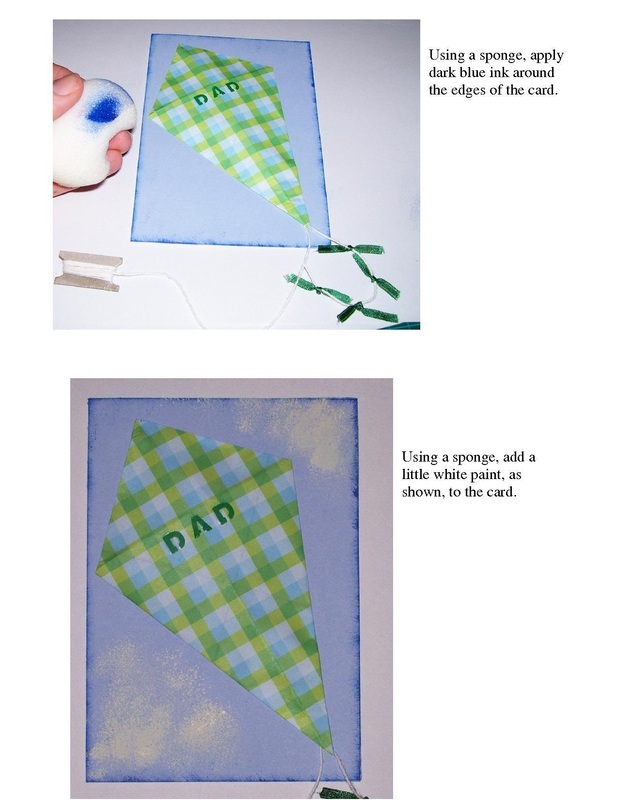 Using a sponge, add a little white paint, as shown, to the card. 18. 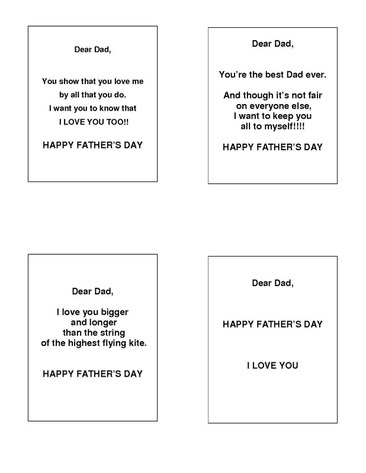 Print off the template for words inside the card. If you do not want to use the given words, you can use your own words by typing them out on your computer or writing them into the card by hand. open the pdf doc (below) and select print. 19. 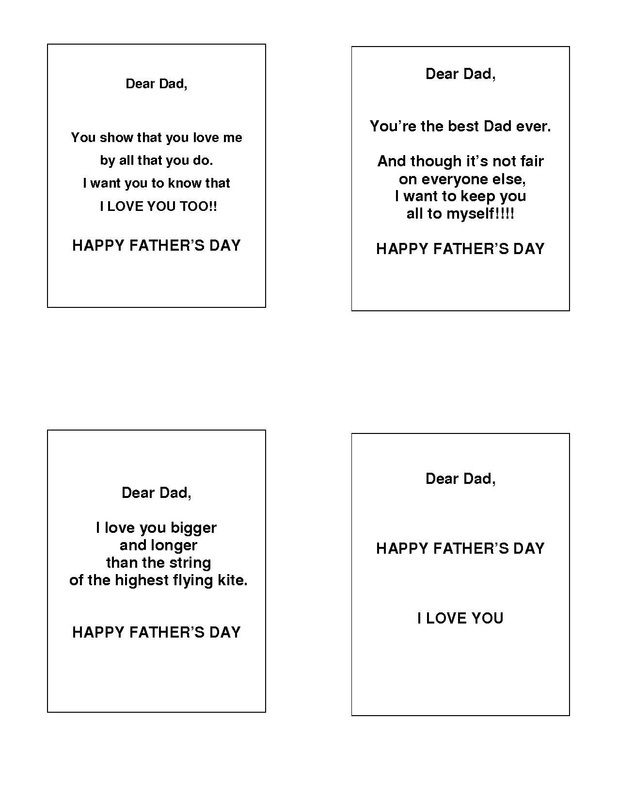 Cut out the required words into a rectangle shape that measures 1cm less width and height than your greeting card (this should be 14cm x 9.5 cm). Cetnre the words in the rectange - see picture below. 21. 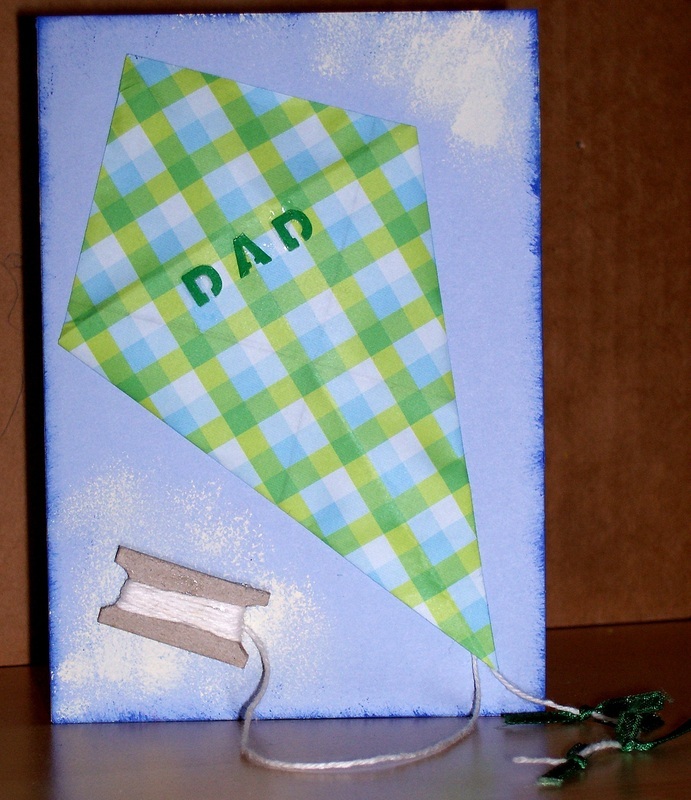 Use double-sided tape to adhere the kite string holder to the card, as shown.